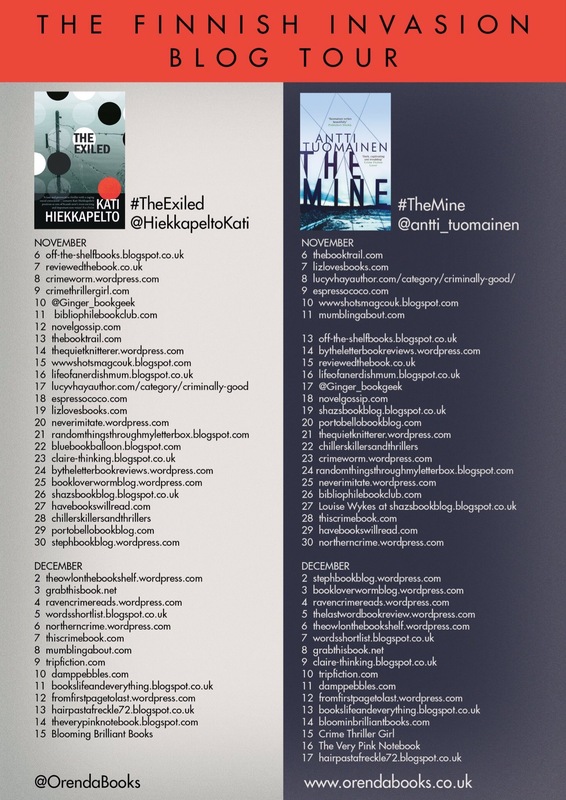 I’m excited to be a stop on the blog tour for The Mine today! This tour is part of Orenda’s Finnish Invasion takeover and the second book I’ve read for it. If you missed part one, my review for The Exiled can be found here. Once again Orenda has placed a book in my hands that is so different from what I normally read, yet so original and engaging. Janne is a newspaper reporter who is very dedicated to his career. When he receives an anonymous tip about possible corruption in a nearby mine, he is intrigued and begins to investigate, even though it puts a huge strain on his personal life. Is furthering his career and uncovering a potentially deadly environmental scandal worth the stress it puts on his partner and daughter? Can he somehow get to the bottom on what exactly is happening at the mine and keep himself out of danger? What really captivated me about this book was not the plot, though that was interesting enough. Rather it was the outstanding writing and deep characterization that really drew me in. 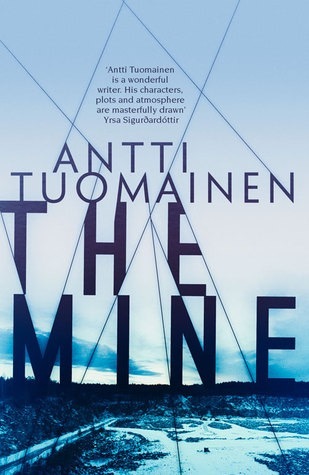 Tuomainen’s writing is simply remarkable and has an air of sophistication that enthralled me. This was such a vividly detailed atmosphere that I could feel the chill in the air and felt as if I looked out my own window I would see fat snowflakes falling from the sky. Janne is a man who finds himself at a crossroads. He knows, deep down that he shouldn’t be putting himself in harms way, he has a young daughter depending on him now. But he cannot help himself, he’s dedicated to his job, and besides that he knows the story about the mine needs to be told. I do want to mention that while there are times there is violence mentioned, there are no actual gory descriptions. I know some of you like to steer clear of graphic details, this would be a great book for you. While there are many crimes being committed, I would say this is an environmental thriller that focuses on some very topical and prevalent issues. Think conspiracy theories and corruption with a sense of noir. I’ve been very lucky! Orenda hasn’t let me down yet.